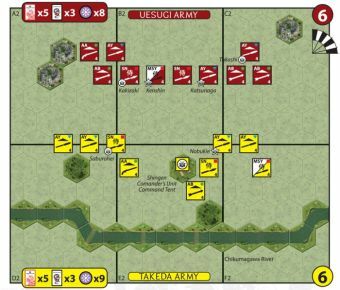 In late December, Sue Harukata arrived with the Ouchi relief force. 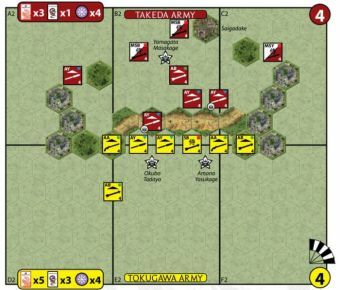 Motonari decided to strike again and ordered Harukata to guard his rear with the Ouchi, while he moved to attack the Amako allied camp at Miyazaki Nagao. 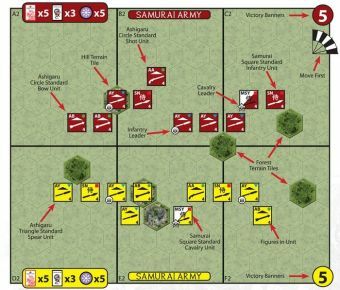 But Harukata had no intention of waiting to do battle and seeing that Akihisa’s main camp was inadequately defended, also attacked. 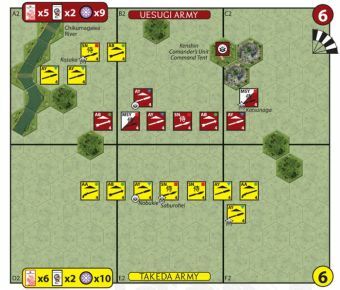 Amago Hisayuki bold charge to check the Ouchi did not slow their advance and the Akihisa’s camp was overrun. 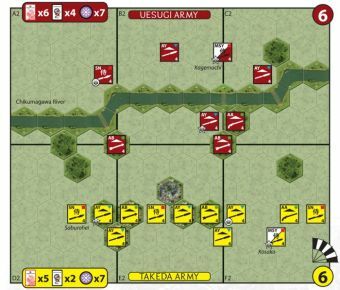 Losing both camps in the days f ighting, Akihisa took council and after months of f ighting choose to lift the siege. • The Amako Command Tent, although not occupied by a command unit is still worth 3 Victory Banners. 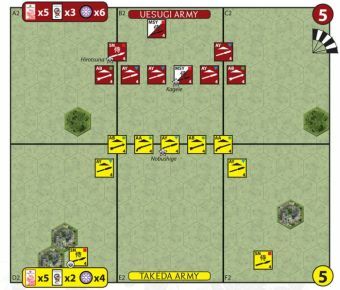 The Amako Command Tent, although not occupied by a command unit is still worth three Victory Banners, when occupied by an Ouchi Army unit. 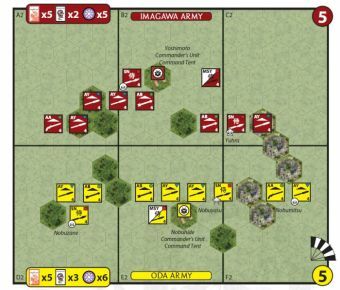 When occupied the Command Tent hex is removed from the battlefield. 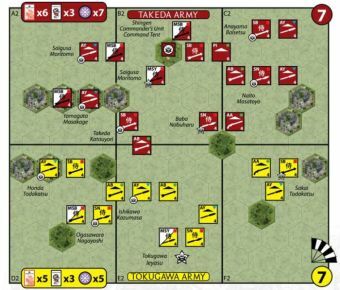 In addition, when the Command Tent is removed, the Amako player must lose one Command card selected at random. Finally, an Amako unit may occupy the Command Tent hex. 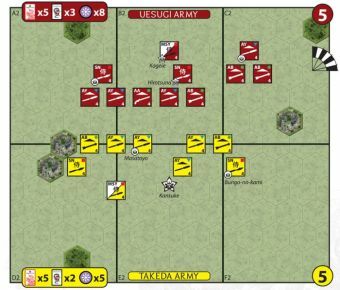 However, there are no movement or battle restrictions or benefits associated with this Command Tent hex.